In today’s episode, I am talking with my assistant, Amanda, about Promoted Pins. We decided to try out Promoted Pins at the same time, and today we share our results, which were different, but both good. Aside from being my assistant, Amanda has her own online presence at her blog A Crafted Passion, which is a lifestyle mom blog that includes DIY and party ideas. We are going to walk through the campaigns we set up one at a time, so I’ll go first. You will learn how I set it up and what my results were; then Amanda will share hers. I began my campaign by targeting women, because even though men are the fastest growing demographic on Pinterest, I know that my audience is primarily women. I also used a Pin that already had some traction instead of starting with a cold Pin. I tested my most popular Pin, How to Clean Up Your Pinterest Boards, which is as close to being a viral Pin as I have ever gotten. The original image was one that Amanda actually made, and is the one that went viral. The new image is of the free download that is offered in the post. What we were trying to see is whether the new image would get as much traffic, even though that image was nowhere in the post itself. We uploaded the graphic directly to Pinterest without adding it to the original post. My parameters for the campaign were $10 a day, at 15 cents per click, and the campaign was set for 10 days. At the end of the ten days, my Pin had received 725 re-Pins and 1200 clicks. My CTR was 1.08%, and my ECTR was 1.37%. You may be asking yourself if those are good numbers, and so are we! Because Promoted Pins are still so new, people are still trying to determine what a good rate is. To compare the two images, the original image got 300 re-Pins and 581 clicks. The CTR was 1.19% and the ECTR was 1.32. So you can see that I spent more on the first one, for lesser results. Learn more about ECTR and CTR in this Promoted Pins Podcast. To gather my keywords for the new Pin, I investigated which boards people were already Pinning that post to. When I looked in the Most Trafficked Pins area, I found that most of the boards were titled something like Clean; Cleaning Tips; Organization; etc. Surprisingly, none of the boards had anything to do with social media, Pinterest, or blogging. I used between 25-30 keywords on each Pin, with some of those being long-tail keywords. I used the exact same keywords on both Pins; so the only thing that was different was the image. My campaign ended on October 16th, but on October 20th, I got 1,300 pageviews, which is a lot for me! I also got over 50 new email sign-ups from that page, which was my goal in beginning this campaign. I knew people would want the download that was being offered. As a result of getting more sign-ups, I moved my sign-up box from the bottom of the post to the halfway point and saw an even greater jump in sign-ups. I am actually still getting good traffic from my campaign. So let’s look at Amanda’s results from her campaign. Amanda started by using one of her highest traffic posts, Puff Quilt Tutorial; but since she re-branded recently, her numbers are going to be off by a good bit. For example, this Pin currently shows 15,000 re-Pins, but she knows it is much higher than that. She was a bit nervous about putting this post up with a new image since the original one was doing so well. The post is a tutorial on how to make a puff quilt, and she felt like with Christmas coming up, now was a great time to try it. Her campaign parameters were 15 cents per click, at $10 a day for 5 days. At the end of the campaign, Amanda’s results were that the new Pin was rePinned 446 times; she had 457 clicks, and a CTR of .56%. Her ECTR was also .56%. Amanda feels like her CTR may have been low due to the very general targeted keywords she used. She used 43 keywords; some of which were things like “tutorial’, which received many impressions, but not a lot of click throughs. Her next highest ranking keywords were “DIY quilt; puff quilt; etc.”, so more specific. With Christmas on the immediate horizon, Amanda decided to use some really specific keywords like “DIY quilt for gifts; baby gift; baby shower gift; etc.” Those keywords had less views, but more click throughs. Amanda also saw a large increase in subscriber sign-ups. Before beginning the campaign, she went through the post and made sure that all of the links were her affiliate links; that she had multiple subscriber boxes; and she offered an opt-in incentive. Doing all of these things ahead of time helped with sign-ups and traffic, and she is still seeing more traffic after the campaign has ended. Learn more about growing your email list using Pinterest. In looking through her results, I had the largest number of visitors from a desktop or laptop; followed by iPad users. Her third ranked users were on an iPhone. Android users were very low on the list of users. And here’s where it gets interesting- Amanda’s highest number of users were on Android mobile devices, followed by iPhone, laptop or desktop, and iPad. Knowing these numbers is helpful because it can guide you in future campaigns. When I run this post again in a campaign, I’m is going to target the Web, iPhone and iPad users to see if further targeting gives her better results. An interesting point that Amanda made is thinking through who is most likely to visit your post. For her puff quilt tutorial, she is more likely to have older women who might eschew iPhones, but be more likely to have an Android phone or device. Because Amanda’s target audience for her blog is mostly younger Moms with young children, but her post on the puff quilt is more likely to be Pinned and clicked through by older women, she really struggled with whether to promote that post. She went to her mastermind group to get advice on which of her most popular posts to run the campaign for. She had to decide if she was campaigning for traffic, income, or getting the subscribers to her list that are her target audience. 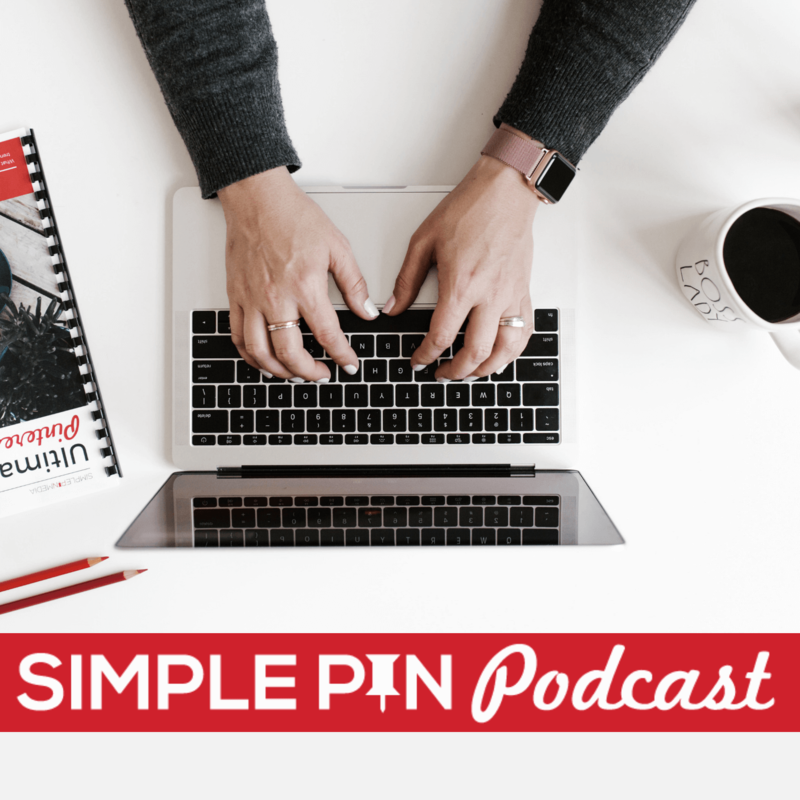 Amanda has done a few Promoted Pins in the past, but because there was no Simple Pin podcast, she felt she lacked the knowledge to make them work like they should have. She does plan to run another campaign on this post; and plans to experiment more with keywords. Her results show that tutorial was the most successful keyword in her campaign, so she is going to try some more specific targeting next time. With more specific targeting, she can spend less but get the right people. I plan to do another campaign; this time removing some of the more general keywords, targeting fewer devices, and using only the newer image. That new image had more conversions than the original. Neither myself nor Amanda would have had any results to share if we had not both been willing to jump in and try it! It is important to know your target audience and go after them. If that’s women, then target your campaign to women. There is absolutely no point in paying for something that isn’t going to give you the results you want. It isn’t likely that many men are going to click through to a puff quilt tutorial; but if you do have something that is specific to men, then by all means target men. You have to reach the people that will interact with your content. We weren’t specific about it earlier, but we both ran traffic campaigns. Traffic is what brings you email sign-ups and eventually, income. We weren’t interested in running engagement or awareness campaigns. You don’t want people to just see your Pin; you want them to see it and take action. The DIY space is very high on Pinterest, but has a low CTR. So it is more important than ever to know your audience and test things out. You need to decide what your goal of the campaign is and figure out which posts will bring you that. What do you think? 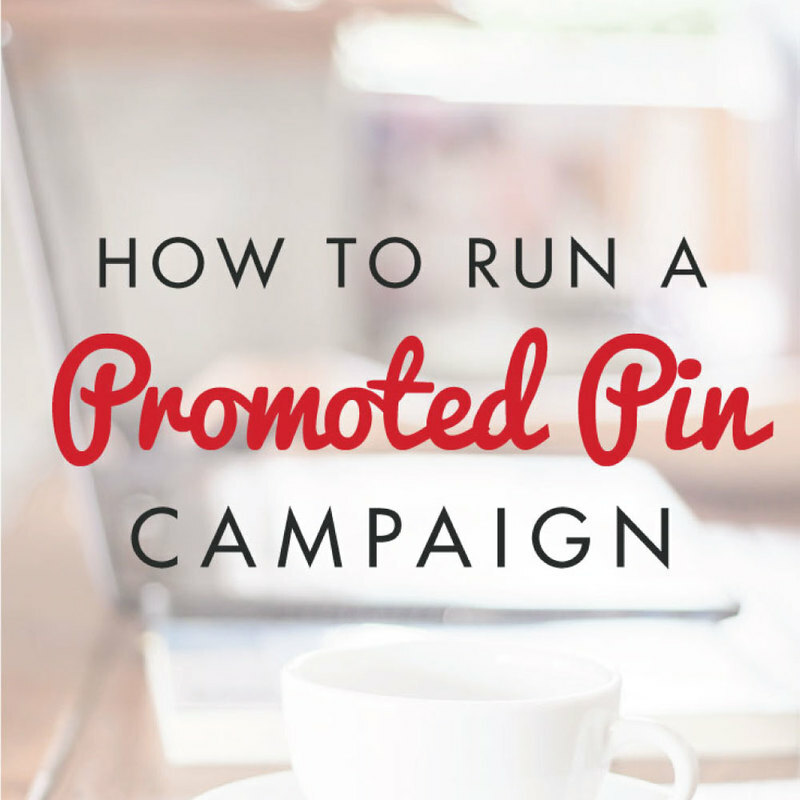 Are you ready to try out a Promoted Pin campaign? Be sure to let us know in the comments how it goes for you! Pinterest promoted pins are just like as organic pins, with the exception that retailers must pay to have them seen by more Pinterest users. Pinterest has specific guidelines on the type of content we can promote. We organically pin related content one to two months before we start our paid campaign. This gives exactly to us the ability to gain some initial traction, determine which pins are worth investing into and make the most of the organic traffic before hand. Eventually, thanks for sharing your experience with us. I know I could do alot better with my Pinterest boards, but I do need some guidance on how to do so.